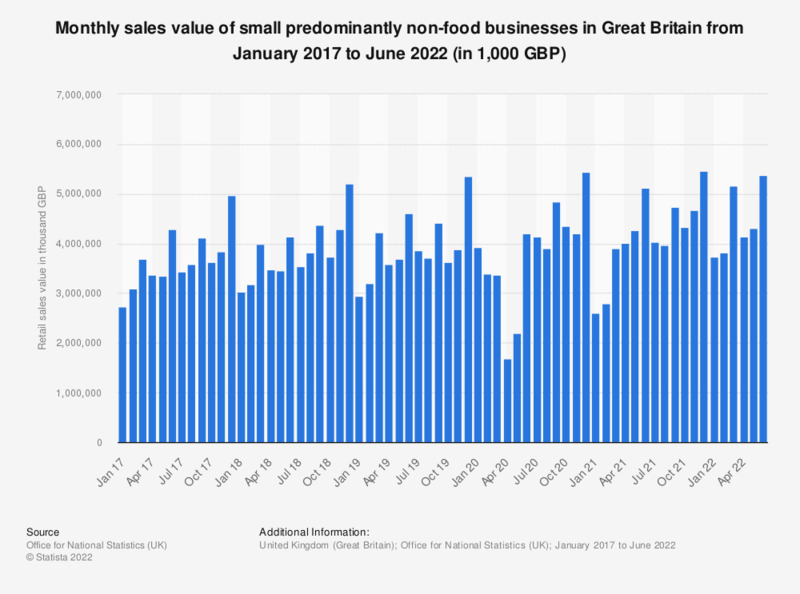 This statistic displays the total sales value of small predominantly non-food retail businesses in Great Britain monthly from February 2016 to August 2018. The amount spent in small non-food retailers reached 3.75 billion British pounds in August 2018. Small businesses employing less than 100 people with a turnover lower than 60 million GBP.